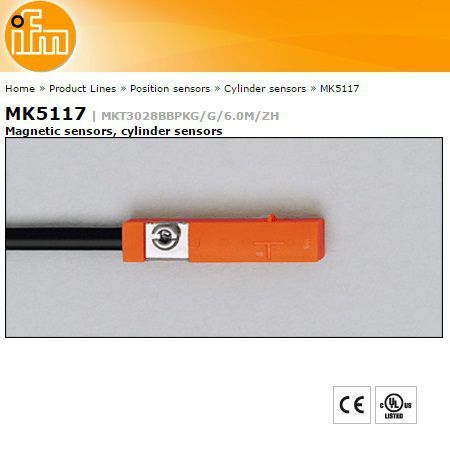 IFM MK5117 Magnetic Inductive cilinder sensor | DamenCNC B.V.
Special type of Magnetic Inductive sensor that is used for Pneumatic Cilinders with a magnetic piston. 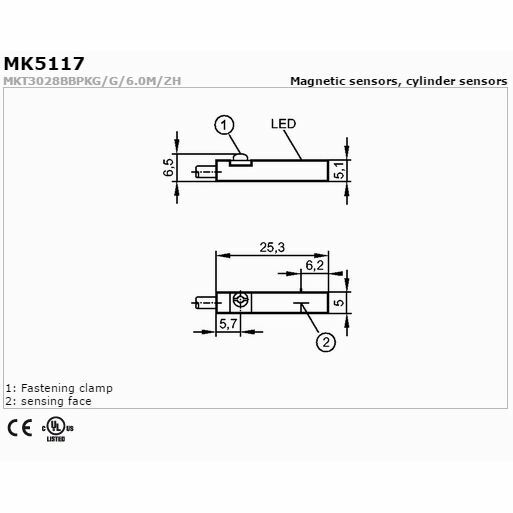 The ISO 15552 series is prepared for this kind of sensors, these cilinders have grooves in the housing, that allow this type of sensor to be easily placed. 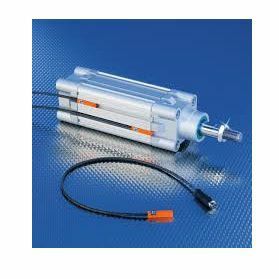 Mosten often sensors are used to detect that cilinder has really fully extended or fully retracted. The sensor we offer here is not the cheapest version. We have chosen to sell/use only the best magnetic inductive type. There are cheaper reed contacts on the market, but these have a much shorter life, and more chance of failure. Due to the simple fact that they have moving parts. 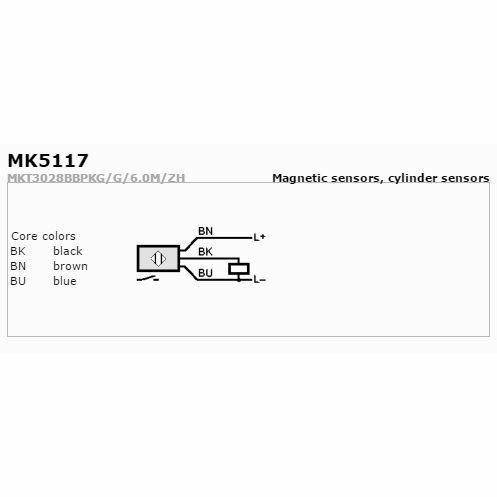 The IFM MK5117 has no moving parts, and works like an inductive sensor. Its a very reliable solution.